Let´s change the system! Yes, for real. 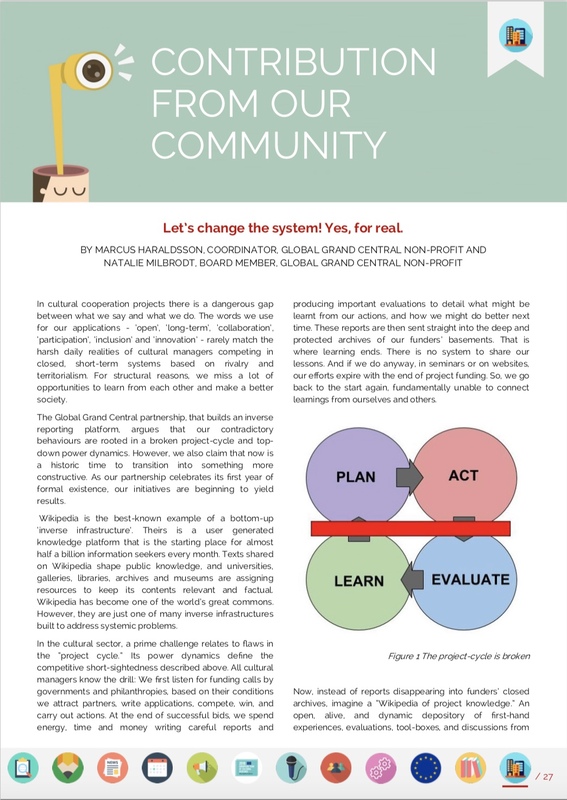 Global Grand Central op-ed in ENCATC News n°118, on July 26, 2018. ENCATC is the European Network on Cultural Management and Policy that gathers more than 100 member Universities and Institutions of higher learning in over 40 countries. ENCATC News is their monthly publication. Global Grand Central has previously presented our work at the 2nd ENCATC Working Group on Evaluation, and at the 8th ENCATC Congress in Brussels, where we outlined the research paper “Mobilising Networks Through Web-based Archival Practice,” available in full text here (page 165-187). See Christo de Klerks presentation on our About page here.